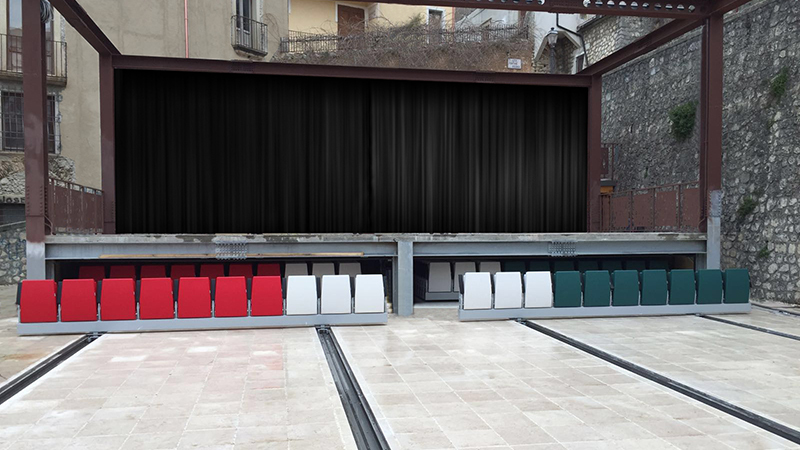 Located in the old town centre of the Municipality of Paola, in the province of Cosenza, the new Largo Sette Canali Multi-Purpose Workshop Centre is part of the larger urban redevelopment work involving all the public spaces connected to the square. 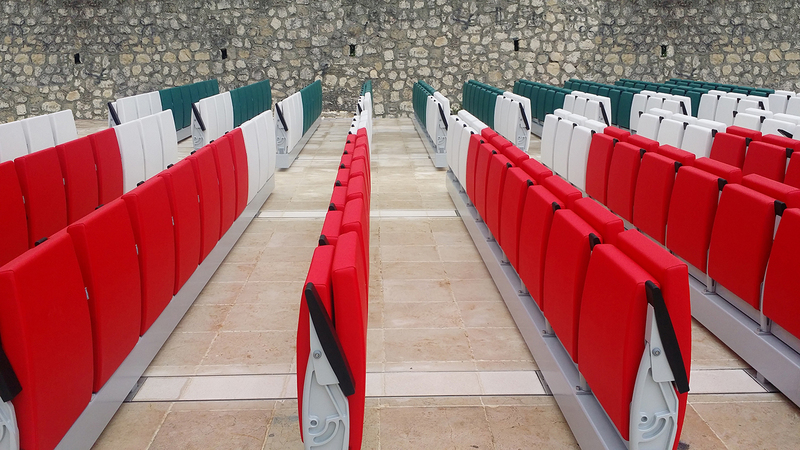 Designed by the architect, Luigi Colella the work primarily involves the construction of a new open-air theatre, a light, versatile structure formed of a fixed stage, connected to a small service area for the dressing rooms, and an innovative retractable system for the seating area. The development and construction of this original outdoor solution, the first of its kind in Europe, was carried out by LAMM, which provided Futura seats and the Floor Technology system that is controlled manually on tracks built into the pavement. 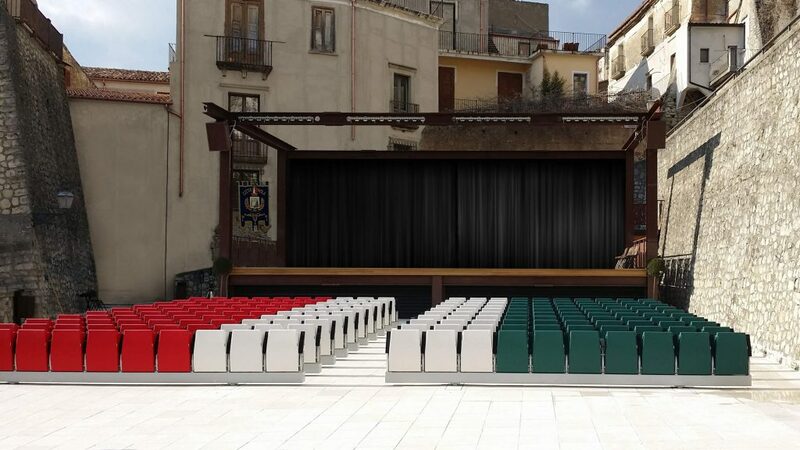 This lets you move and store the chairs under the stage once the show is over, quickly restoring the parterre to its natural intended use as a public space. This system lets you fully or partially clear the square, depending on how you need to use it. With its compact shape, the Futura chair is attached to a beam connected to two columns that are fitted with a special built-in sliding mechanism. The seats run on tracks built into the pavement of the square through special grooved wheels mounted onto ball bearings and fitted with stabilising, anti-tilt and locking devices. 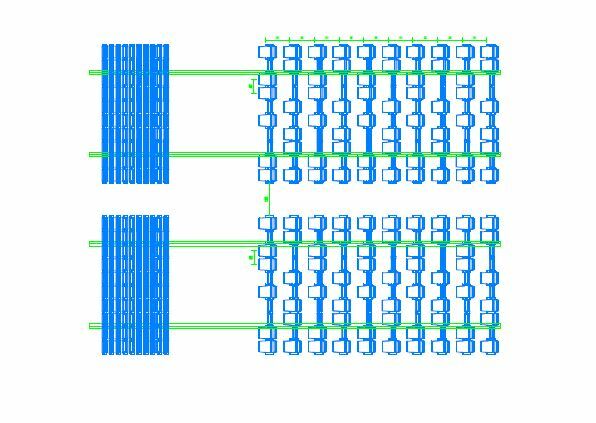 These components guarantee high acoustic, resistance and safety performance, while also making it easier to assemble and dismantle the rows of seats. Once the seats have been stowed away under the stage, the tracks are covered by modular floor fittings which only leave a metal outline in view, thus restoring the square to its original state.